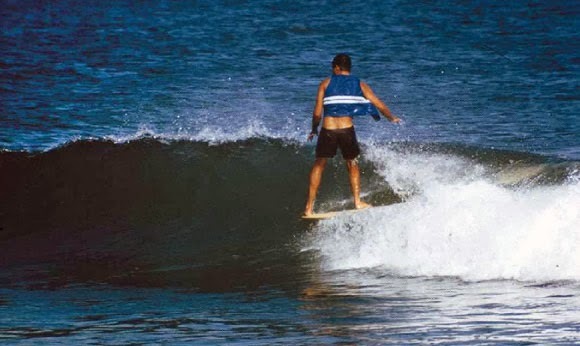 This is a late-'70s Bruce Jones, 7'8.5" rounded diamondtail that was owned and ridden by Miki in Europe. It was donated by Miki's girlfriend, Cece, along with a similar period board that was shaped by Bill Shrosbree on the Fresh Pineapple label. Both are single fins and still had the leashes attached. Always wanted to ask Bruce about the board but procrastinated too long and now will never know. There's a moral in there somewhere.